The three bundles that Xiaomi has unveiled include a Mi smartphone, a Mi laptop, a Mi Band 3 and a pair of bluetooth earphones each. Be it smartphones or laptops, Xiaomi which is also famous as the “Apple of China”, has been seen launching products that are inspired by the offerings from the Cupertino-based tech giant. Apple recently launched its new generation of smartphones, the iPhone Xr, iPhone XS and iPhone XS Max. The Chinese giant seems to be inspired by Apple once again, and is now selling its own versions of Xr, XS and XS Max in China - but these aren’t phones. 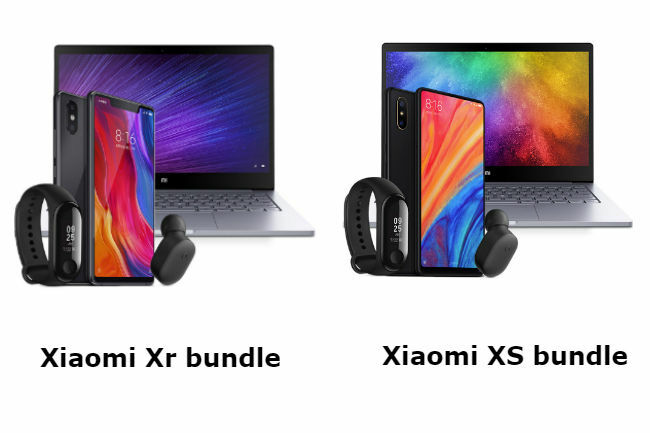 As per the listing on MI.com in China, Xiaomi is selling bundles of its products with the same moniker that Apple has used for its 2018 line-up of iPhones. These bundles are priced (and named) in the same order as the three new iPhones. So just like the least expensive 2018 iPhone, Xiaomi's Xr package includes the Mi 8 SE smartphone (6GB RAM + 128GB storage variant), a 12.5-inch Mi Notebook Air (8GB RAM / 256GB storage), a Mi Band 3, and a Bluetooth handsfree. In the Xiaomi XS bundle, the company has swapped the Mi 8 SE with the Mi Mix 2S (8GB RAM + 256GB storage version) smartphone, and the larger 13.3-inch Mi notebook Air. A Mi Band 3 and Bluetooth headset. 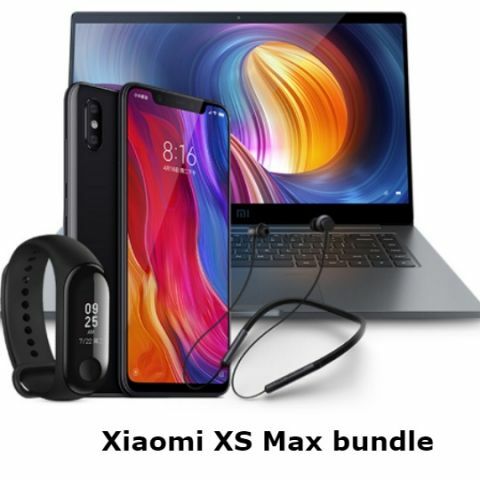 When it comes to the most expensive bundle, the Xiaomi XS Max bundle, the Chinese company has included the Mi 8 smartphone (6GB RAM + 128GB storage), the Mi notebook Pro (unspecified), the Mi Band 3 and a pair of neckband-style Bluetooth earbuds. The Xr bundle is priced at Yuan 6,499 (approx Rs. 68,000), which is the cost of the base model of the iPhone’s variants. Next up is the XS bundle that will cost people Yuan 8,699 (approx Rs 91,500). The price of this bundle is same as that of the iPhone XS 64GB variant. The Xiaomi XS MAx is available for Yuan 9,599 (approx Rs 1,10,000) and is the same as the starting price of iPhone XS Max in the country. The move is seen as Xiaomi’s attempt to mock the high prices of the new iPhones that Apple has launched. It may also serve as an indicator for Chinese users that they can get a bunch of Mi-branded gadgets in the same price of an iPhone Xr, the iPhone XS or the iPhone XS Max.